Pricey, but great coffee and really atmospheric place, it’s good for cold, grey days when you don’t want to be outside in the market. Lots of dark wood panelling and a few tables for coffee and cakes ( the larger part is for the restaurant) with a funky, bohemian vibe. Coffee is short, strong and slightly caramel / treacle flavour. Lovely. 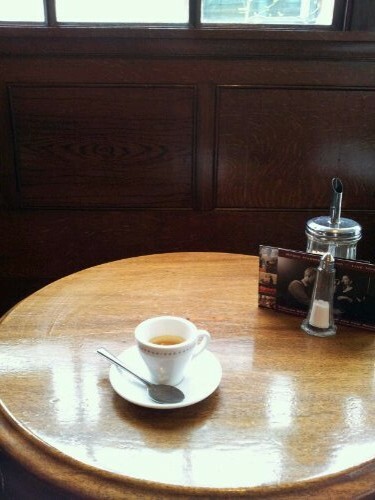 Posted on October 27, 2011 October 27, 2011 by espressolovinPosted in City of LondonTagged coffee shops and cafes.